Price is for 1pc. No warranty offered. economical but not low-end for better vapor experience. 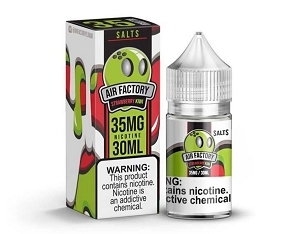 Buyer beware, this is the price for a SINGLE coil not a 5 pack like most civilized places sell. I've purchased this product many times from Hoosierecig with no problems. 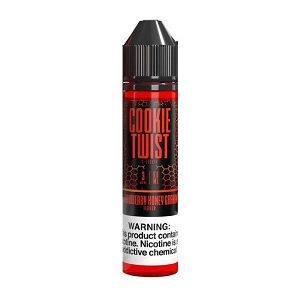 Their shipping is user-fast, pricing is competitive and the coils, up until now has been excellent. However, upon receiving my usual order of two packs of 5pc each pack I was surprised to find that 5 out of 5 in one pack was completely bad. Bad meaning simply not functioning correctly by giving a strong burnt flavor, taste and smell from the first draw. And yes, I've been using these coils for a long time and know how to prime correctly. But that's not what disappointed me. When I called customer service at Hoosierecig I wasn't even asked my name or order number. I was simply told "Well that's what happens with these coils, sometimes they just fail" Ok, fair enough but why wouldn't you ask me for the lot number of the 5 pack to see if other of your customers have reported the same issues? If there is a lot problem you could advise the mfr of a possible problem and protect your present and future customers from a bad product? That is why I'm so disappointed in hoosier not about a full pack of coils. I purchased my Joytech eGo locally from a vape shop. And while their service is great, the only colis they would stock were the 0.6 ohm, which would I could only use for a few days without them burning out. 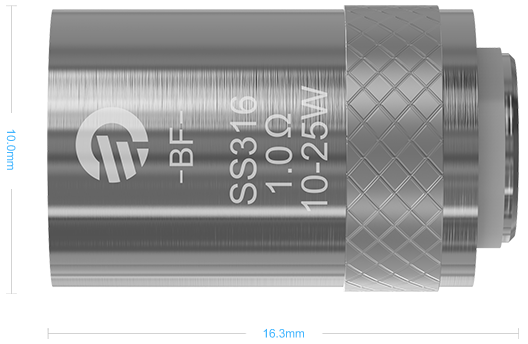 They had one box of the 0.5ohm SS316 Lung inhale 15-30W in stock, and those worked fantastic with my unit. However, since they no longer stock them, I was back to buying a box a week at the very least. 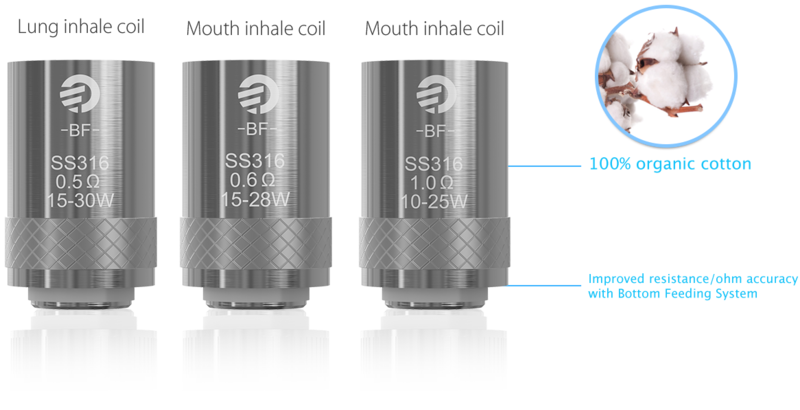 Not only did you have the 0.5ohm SS316 Lung inhale 15-30W, but they were cheaper than what I was paying at the vape shop. Excellent service and quick shipping. 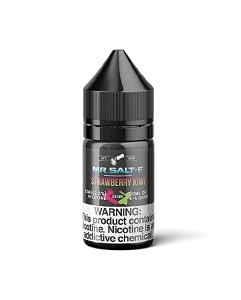 I will be ordering many more in addition to juice from your company this month. The last 2 shipments of these coils have been burning out very very fast. I have to replace them every other day. They used to last at least a week per coil. I am not sure why they are burning out so fast. I've been using the 0.6 ohm and the the 0.25 notch coils for the last few weeks and they are just amazing. Great flavor, tons of vapor and the first sub ohm coils I've found that aren't super airy for a mouth to lung vapor like me. 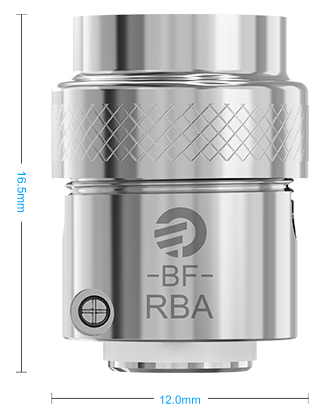 Joytech's line has replaced all my Aspire tanks and coils. Had ordered two- both defectve- worked less than two days. 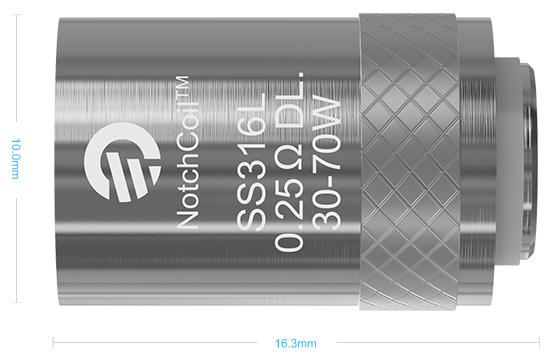 I've purchased about 9 of these atomizer from this website, and 5 of them worked fine and 3 had issues with the drawing (excessive juice spit back, burning smell, ceasing to work within a few days) and 1 came broken. I follow the directions, prime them and wait, do not chain vape. I don't have high expectations for a coil for a vape at the ego aio price point, but it can be a pain when you buy 3 coils hoping they cover you for 2 months and one or two are defective. 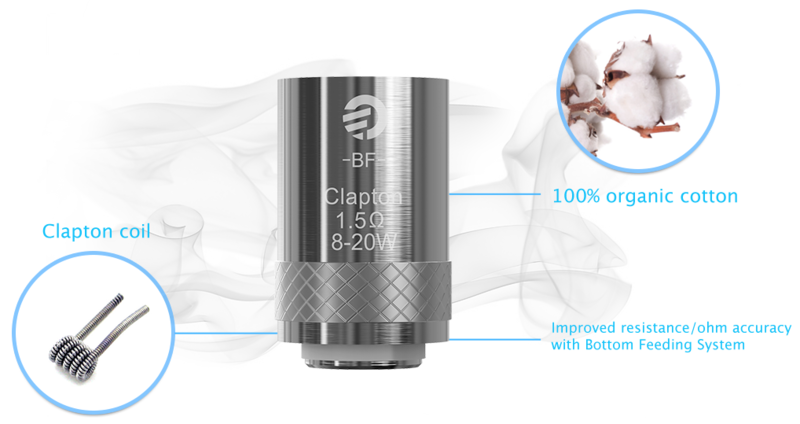 Would be nice if Joyetech better QC. Work as expected, no issues. 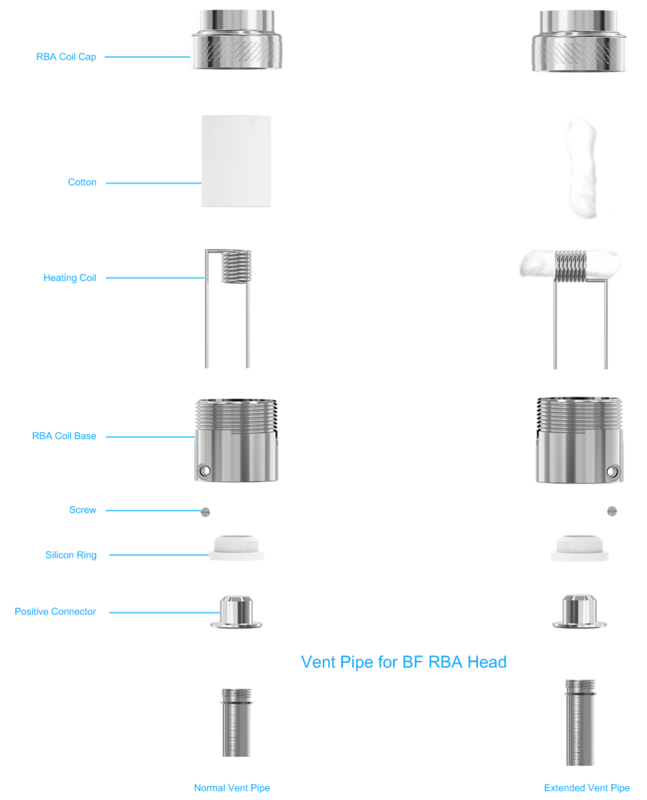 How long they last like all coils depends on your vaping. Have been using these for months and they are good quality for my needs. So glad I could finally find somewhere to find my coils! Thanks so much! I was surprised for some reason that this is actually just one unit, not a set of six like I’ve bought in the past. But they work great! These coils do a good job for the price. I find that they last a long time ~ for me over a week alternating with others. I use the 0.6 om as recommended by Matt ~ good choice! Q: Is this a two pack of coils? 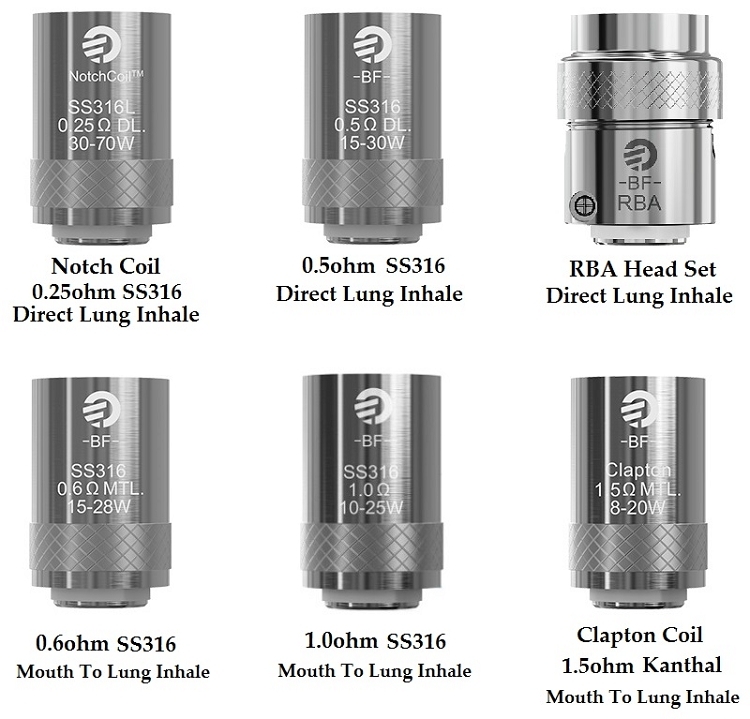 A: The price is for an individual coil but you can also get them in a 5 pack. 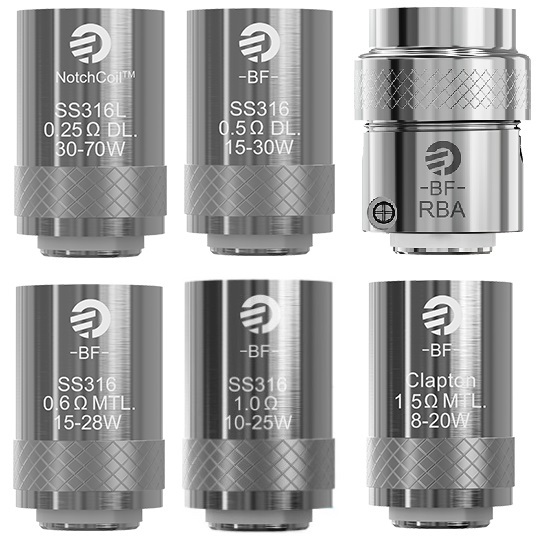 Q: I notice some folks raving about coils that for me flood continuously... the ss316 and Notch SS316... how do you deal with flooding on yours? I can't use anything but the Claptons without constant flooding and being burned by hot drops of juice coming up the Cubis. 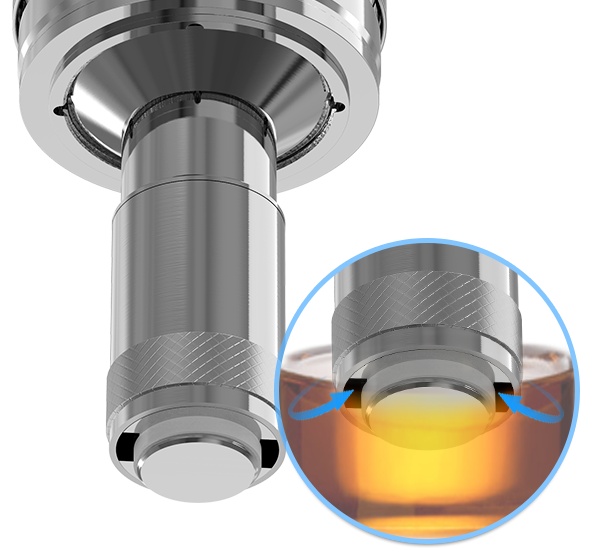 when you refill it underfill it a bit, when you screw it back in it pressurizes the tank a bit and forces juice through the coil. If you fill it right to the line then when you put it back in it doesn't leave enough air space in the tank. 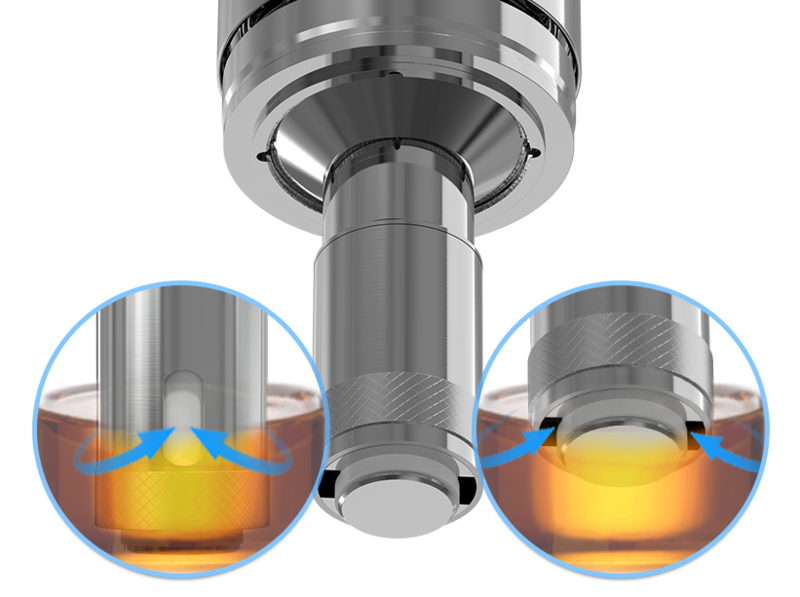 This is because when you pulled the stem out it already has some juice on it, so when you fill to the line and then put the wet stem back in you're actually overfilling it, this forces more juice through the coil. 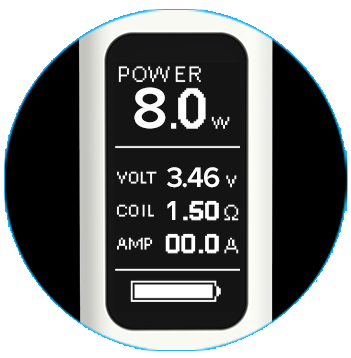 Q: What is the correct ohm coil for an ego aio? I use .6ohm, contents tastes burnt quickly. 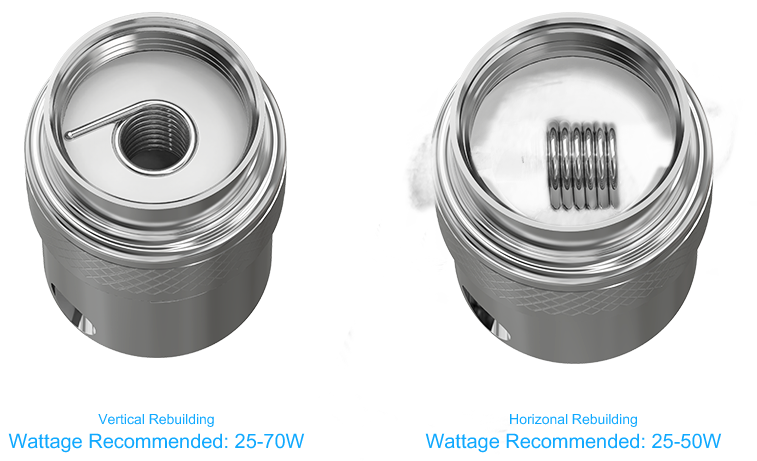 A: 0.6 ohm is the correct coil to use in the AIO but you can also use a 0.5 ohm or a 1.0 ohm. Q: What is the difference between direct to lung inhale and mouth to lung inhale? I just got this system and am unsure about which is best. A: Direct to lung is when you fill fill your chest with vapor. Mouth to lung is when you use your mouth to pull a puff and then inhale it back. 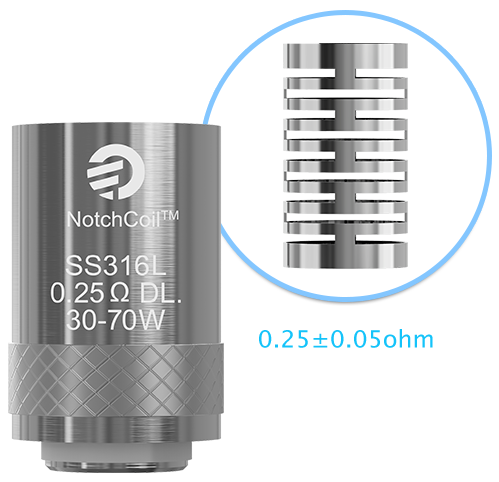 Q: Will the 0.25 ohm Notch Coil work ok in a AIO? 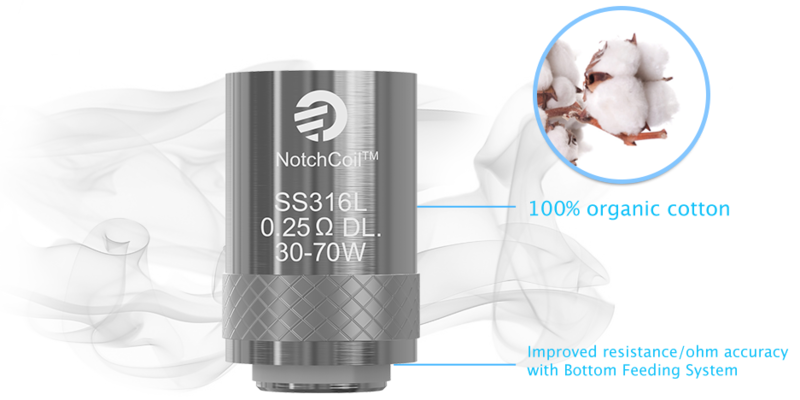 A: I think the resistance of the notch coil will be to low for the AIO. 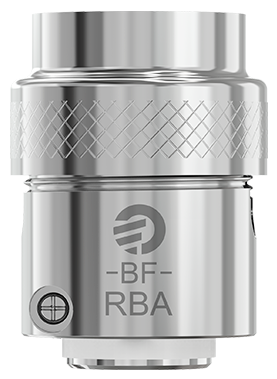 Q: In regards to Joyetech BF Series Replacement Coils for Cubis, eGo AIO, and CUBOID Mini, for $2.59, is this for 1 coil or is thing a set? A: Yes it is per coil. Q: How many coils comes in one order? A: The price listed is for 1 coil. A: Yes we are just currently out of stock. We do have them on order though so it shouldn't be to long before we get them back in. 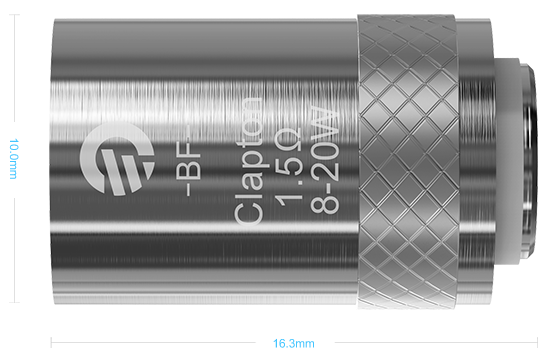 Q: Are you out of the Clapton Coil 1.5 Ohm for the Jotyetech Cubis or are you discontinuing? A: We are just currently out of stock. Q: Is that for a 5 pack of coils or just 1? A: it is the price for one coil.